Does the Week Start with Sunday or Monday? At Agendio, we don’t know and we don’t care, which is why you can start your planner on whichever day you want, even Wednesday! And now, you can also start your monthly and weekly planners on different days. Your weekly can start on Monday and your monthly on Sunday or whichever day you prefer. 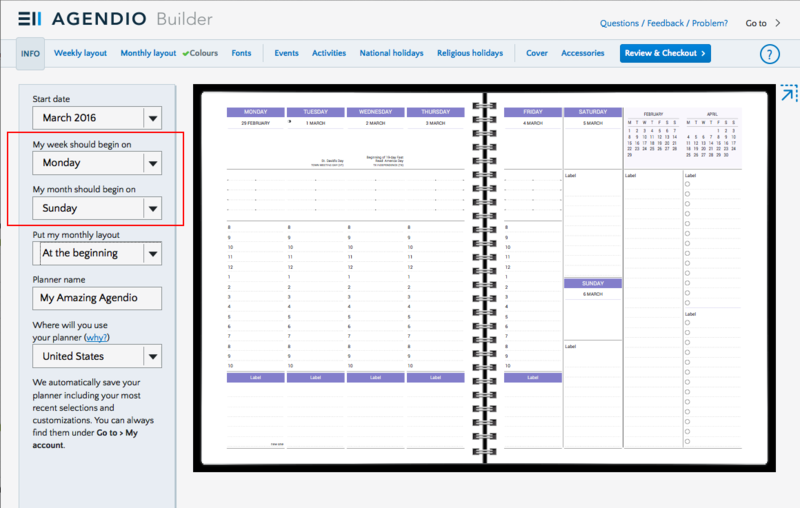 Simply select each of your start days on the first (info) screen of the builder. So does the week start on Sunday or Monday? Apparently it can now do both at the same time!